﻿ The Mulian Hotel Guangzhou Zhujiang New Town (China) | FROM $45 - SAVE ON AGODA! "(free) for the place next door." Have a question for The Mulian Hotel Guangzhou Zhujiang New Town? "The hotel however, was clean and modern." 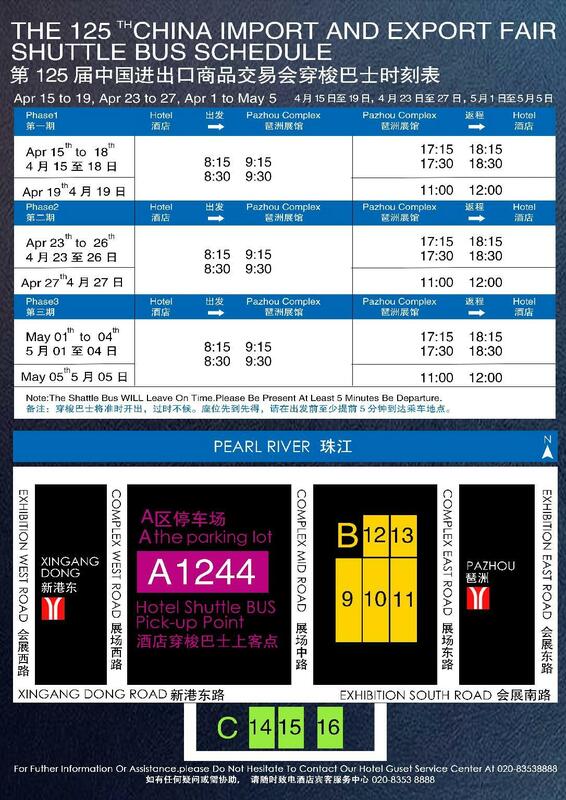 "Free shuttle to Canton fair was an unexpected and much appreciated bonus." "All in one, an excellent stay, hotel is in a good area and would definitely stay again." "It was close, clean, etc.."
Stay at the Mulian Hotel Guangzhou Zhujiang New Town and treat your loved ones to a lavish holiday. With a 5 star rating, this hotel is great for experiencing a truly lavish getaway. The rooms here overlook the city, giving you picturesque views of Guangdong. This hotel is near Happy Valley, Hunters square Shop, Computer Street, Cen Village, and Ji'nan University. Offering guided tours, the Mulian Hotel Guangzhou Zhujiang New Town is a great place to stay to learn about the area. This hotel has air conditioning, so you'll have everything you need for a comfortable stay. It has various convenient features, such as a smoking area and safety deposit boxes. 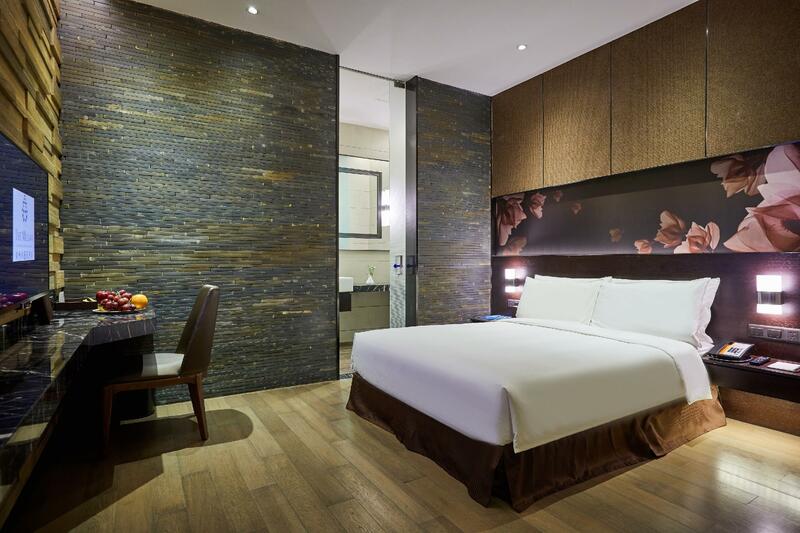 The Mulian Hotel Guangzhou Zhujiang New Town features a coffee shop, restaurants on the property, and room service, so there is a selection of dining and snacking choices for guests to enjoy. 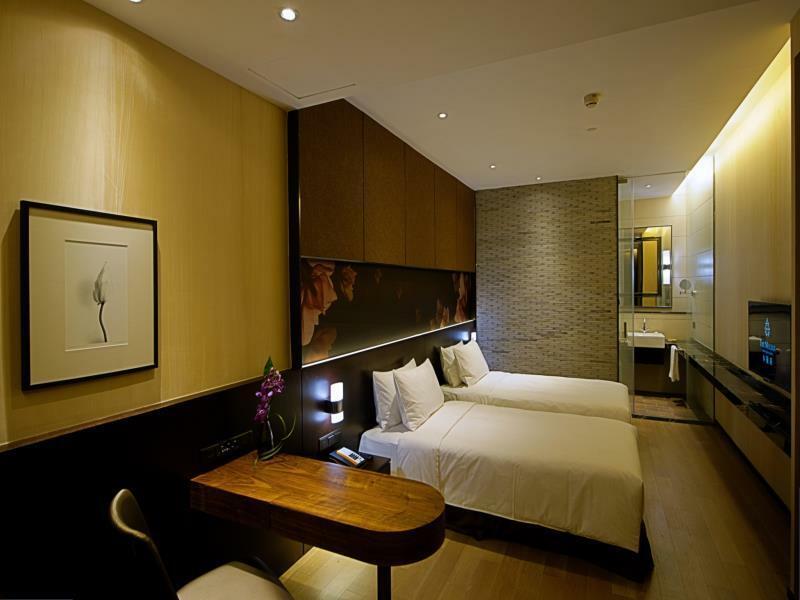 The Mulian Hotel Guangzhou Zhujiang New Town offers a range of useful services, which include a concierge, laundry services, daily housekeeping, luggage storage, as well as dry cleaning services. There's free Wi-Fi available in all rooms, as well as Wi-Fi in common areas, ensuring that guests are able to contact their loved ones without splashing out on international charges. All of the rooms come with ironing facilities, a closet, a coffee or tea maker, and a mini bar. They also have a desk, towels, free bottled water, satellite or cable channels, and other amenities. The front desk is open around the clock, ensuring that there is always someone on call to assist you whenever you may need. The hotel is pet-friendly, so you won't have to worry about finding a pet sitter while you're out of town. The Mulian Hotel Guangzhou Zhujiang New Town offers an express check in and check out service, enabling you to avoid stressful delays when preparing for your commute home. Check-in is offered from 02:00 PM and check-out is until 12:00 PM. Liede Subway Station is 880 m away and Tancun Subway Station is 980 m away. The nearest airports are Guangzhou Baiyun International Airport (CAN) and Shenzhen Bao'an International Airport (SZX), which are located 29.8 km and 72 km away. "Beautiful hotel and nice help yourself coffee bar." Good: Decoration, Staff is polite, Price Bad: Breakfast has hardly 3-4 options, not even good breads/buns/confectionaries, Room has no window, so only rely on air condition. Basically price is low which compensates the small compact room. I will consider this place I just want to sleep for a night but don't advise if you travel with family for a staycation or multiple days to spend. I thought the no-window situation would be weird and uncomfortable, but actually the rooms are very spacious, and with the darkness when you turn off the light, the quiet rooms and comfy beds, I slept like a baby. Hotel had no breakfast, but they gave me breakfast coupons (free) for the place next door. Free shuttle to Canton fair was an unexpected and much appreciated bonus. All in one, an excellent stay, hotel is in a good area and would definitely stay again. Beautiful boutique hotel. Located quite far from the metro station. Wall was quite thin. Cause I can the neighbor screaming in the middle of the night. No gym, no pool. It was a good hotel for visiting office professionals. the place is a bit far from the metro but the rooms are nice and clean breakfast is not that grand if you get the inner room no windows .they have shuttles service to take you certain places which is good. i enjoyed my stay as staff was good!!!!! The BAD Most of the hotel rooms have no windows as it only got 2 levels, bath room sliding door partly jammed, cannot fully closed. Insufficient lights in the room. Breakfast was quite disappointing(They send you to cheap looking cafe down the street) Found a huge cockroach in the room, told the staff when we check out, but the staff seemed not concerning at all. Hotel entrance located right in the middle of the block, where taxi drivers reluctant to drive in, have to walk about 150 meters from the main road. The GOOD The hotel is consider quite cheap in Guangzhou, so it’s hard to complain. The hotel lounge was quite nice, seats were comfy, you can make your tea of coffee and relax there, but it has no other facilities. 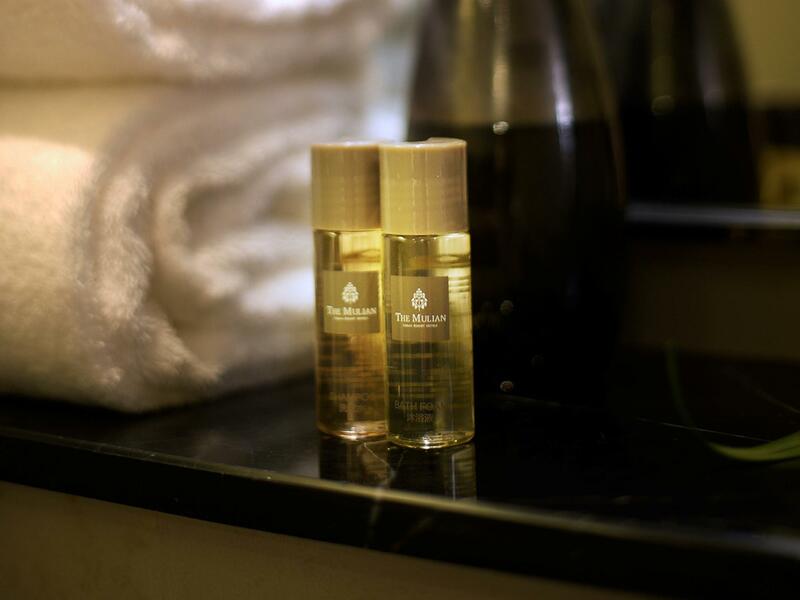 The Mulian is a great hotel for people coming on a business trip. the rooms are clean and have all the facilities one needs. The shower pressure is great, the hotel smells good especially since there are no windows. The no windows seemed to bother some of the other guests but you get over it after the first night as long as you set your alarm as there is no way of seeing day light or knowing the difference between day and night (also makes this hotel energy efficient). The beds are soft but firm, good linen and a very affordable mini bar. There is a 7 eleven 5 minutes away from the hotel, 10 minutes walk from a shopping mall with an H&M, BK, MCds etc. only a 15 minute walk from bar street in Leide should you want to sit in a restaurant or a bar. and also quite easy to get around with public transport. opposite a beautiful park, great for Jogging or meditation etc. CLEAN AREA The staff are friendly and helpful, the coffee machine in the lobby is great. Me and my colleague shared a twin room for our one week stay. The rooms were comfortable, and there were many channels available on TV. It is a 10 minute walk to the nearest subway station. The Zhujiang Park is just across the street if you want a morning jog. The one thing I would complain is it's breakfast. They always serve pastries with coffee or tea, with very limited choices. No fruits or other warm breakfast options available. All in all, good value for money. To be honest, the room was clean and the hotel attractive but there were serious issues. The hotel is listed as a five star resort but there are no restaurants, no services, no pool, nothing that would make it a five star resort. Included breakfast meant receiving a ticket to the place next door whose food was nearly inedible. But the biggest problem occurred when my gf asked if they had laundry service. They said they didn’t but could send it out and asked her for 100RMB. When she went to retrieve it the next day, they demanded another 1068RMB! That’s $185 USD for two loads of laundry!!! I would have refused to pay but my gf had been unsure what to do and already given them the money. ROBBERY! Beyond this, the room was small, had no window, and the property is a long walk from the metro or anything of interest. DO NOT STAY HERE!!! Long walk from main road. Security guard outside is playing games on the phone, does not even show us how to get in. Took us 45 mins to figure out where the entrance was. (There was construction infront of the hotel so the whole thing was barricaded). We figured out that there was a small alley on the side, was the only way in. Mosquitoes in the room everyday. Its been a week already since my stay an i still have 2 huge red bites on my forehead. No Money Changer. No drinking Glasses by the lobby. No room service. Hard bed. Hard Pillows. The location was in the CBD area. The breakfast was very lame. The room was really big and clean, but the facilities wasn’t so good. This hotel is clean, but very difficult to reach, rarely taxi want to reach here, you should take your luggage walking for 600m to reach the lobby, or you ask the taxi ride down until 2nd underground floor, pay the park fee, or if you have car here, this is not a problem, please be noted, almost the rooms have no windows, you can feel you are in the box without any light from outside, I dont know whether the helthy without any sun light? Feel just like refugee. In this area you should walking around the wire Fence, to reach the only one restorant in 800mter walk outside from the lobby if you need something to eat at night, the hotel have the only one restorant that is open in daytime, it is bad for you if you are picky eater. Hotel included free breakfast daily until 10:30AM, and the hotel location is very convenience that you can walk to different major shopping plaza and restaurant. There is no window in my room. Walk way from lobby entrance to my room is quite far. Breakfast is like a frozen food.